Insurance innovation. 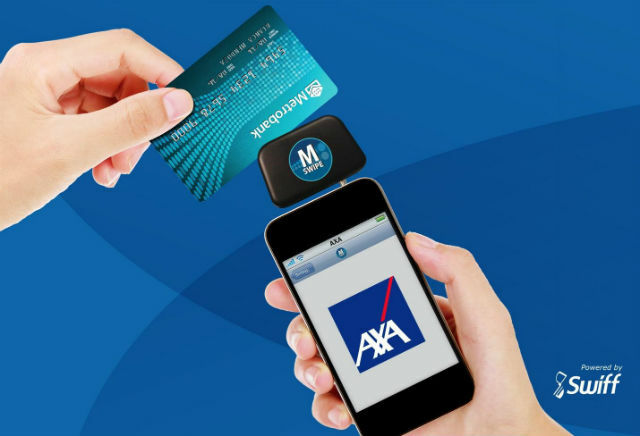 Axa and Metrobank card launched a Square-like mobile payment service via credit cards, on smartphones and tablets, for life insurance in the Philippines. 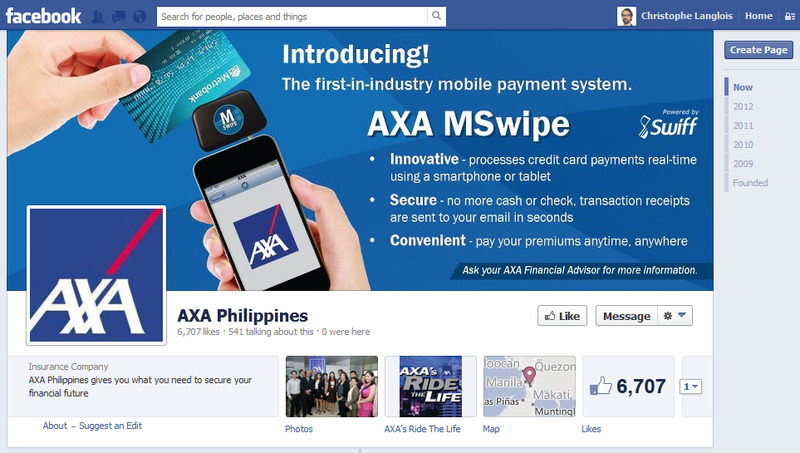 AXA Philippines launches MSwipe, the country’s first mobile insurance payment system. MSwipe allows Axa agents to accept real-time credit card payment transactions using their mobile devices such as smartphones or tablets on iOS or Android, giving them an innovative, convenient and secure means of paying their life insurance premiums anytime, anywhere. AXA Philippines, one of the country’s largest life insurers, and Metrobank Card Corporation (MCC) recently launched the country’s first mobile payment system for life insurance called MSwipe. MSwipe allows AXA financial advisors to use their registered smartphones and tablets to receive credit card payments for their customers’ premiums. Customers will no longer need to carry cash or checkbooks when they meet with their agents, and the transaction can be done at the customer’s convenience– at home, in the office, or even in a restaurant or coffee shop. Customers can also be assured of the security of the transaction, as they will receive a real-time e-mail receipt. MSwipe is powered by Swiff, which provides banks worldwide with safe and secure mobile-commerce technologies by partnering with and seamlessly integrating into any bank anywhere in the world. The MSwipe service, Axa life insurance’s latest USP, will demonstrate the insurer’s commitment to achieve its brand promise, so expect a positive impact on brand perception and brand consideration. It should not only drive mobile sales, but also enable Axa to strenghthen its relationships with financial advisors who will find a -even slight- competitive edge with MSwipe in one of the top countries in terms of mobile and social media adoption and usage. What do you think of this innovative partnership between Axa Philippines and Metrobank bank Card Corporation in the mobile payment space? After all, the Square model has proved tremendously successful in the US. We invite you to share your thoughts about mobile innovations in the insurance industry, here or on twitter.